Enter Travis King: A Richmond, Virginia Drummer and Drum Teacher with a crisp, flavorful drumming style that is point-on and wildly entertaining, completely on its own. Former drummer for Safety Word Orange, Travis is now an Independent Music Professional who was recently featured in Drum Magazine. Travis takes a moment to talk with us about his goals, dreams and what drives him. 1. How old were you when you first started playing? What inspired you to learn? My parents bought me a drum set for Christmas when I was 11. I knew I had a fiery passion for music before that. I can remember playing on a cheap cardboard Indian drum from the dollar store at my grandmother’s house; pots and pans; and pretending to be in a rock band using sticks. I would have to give the inspiration credit to my father. He was always a music lover and had me tapping on the dashboard of the car to beach music. The older I get, the more I realize the traits I have gained from him, [such as] being a free spirit, etc. 2. 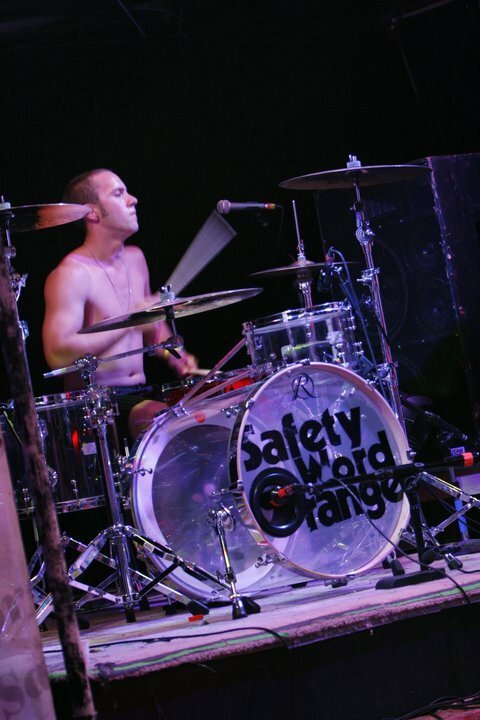 Do you still drum for Safety Word Orange on occasion? From a public stand point, Safety Word Orange has been on hiatus after releasing our latest album Acceptance. In reality, after the official release date, we played a hometown release show in Richmond, Virginia followed by a small east coast tour. 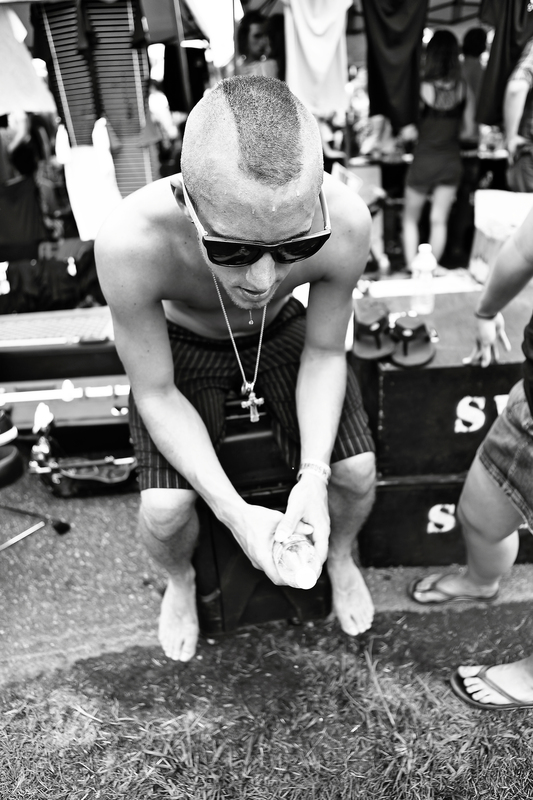 Our vocalist was battling Alcoholism and walked away from the band mid-tour. 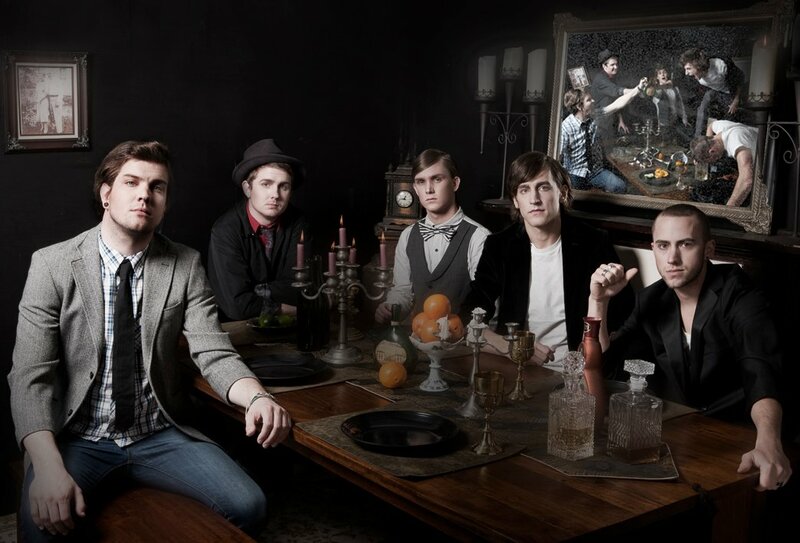 It has been months since I have seen or even talked to anyone from the band. Safety Word Orange is still selling music worldwide and our tunes are still being used on MTV today. 3. You give international drum lessons via, Skype, and you offer discounts on your website for the lessons, which is fantastic! Can you tell us about that? I started offering Skype lessons this year (2012). It has been a great tool, allowing me to reach my fans all over the world and be able to provide insight, not only through drum exercises and lessons, but by being able to provide industry insight and advice. I have many students around the world who take lessons; schedule permitting. 4. You recently became an Official Endorser for Vic Firth Percussion drumsticks. How did that come about? What does this mean for you? I endorsed SilverFox Percussion for many years, had a great working relationship with the staff and even had a signature stick. My career started leaning more towards education and the way Vic Firth approaches education can’t be touched. When I first started playing drums I used a pair of Vic Firth, something my parents just happen[ed] to pick up from a local music store. Returning to Vic Firth and becoming an Official Endorser has been a dream come true. They truly are the best stick company in the world. Try to further my education, which is a never-ending challenge. I am currently writing a book with my good friend Andre Labelle (Formerly of Vinnie Vincent, KISS Family Tree); more information on that is TBA. 6. What do you like to do in your spare time (if you have any!)? This is a hard question to answer. I know it’s a simple question and you would expect a simple answer. The truth is, wanting and striving to be the best I can possibly be in this industry has left me jaded. There is no free time, every second I am trying to further myself and continue my personal education in this industry. I spend time with my loved ones and have my domestic life, but even then, I’m tapping, I’m reading, I’m emailing, it never stops. I’m still trying to find peace with myself. 7. Do you have any advice for young, new drummers? Start early so you can quit early. That was a joke. My advice is this: Do what you love and not for any other reason. It will turn out to be something you didn’t think it was. If you don’t love what you’re doing, don’t waste your time. 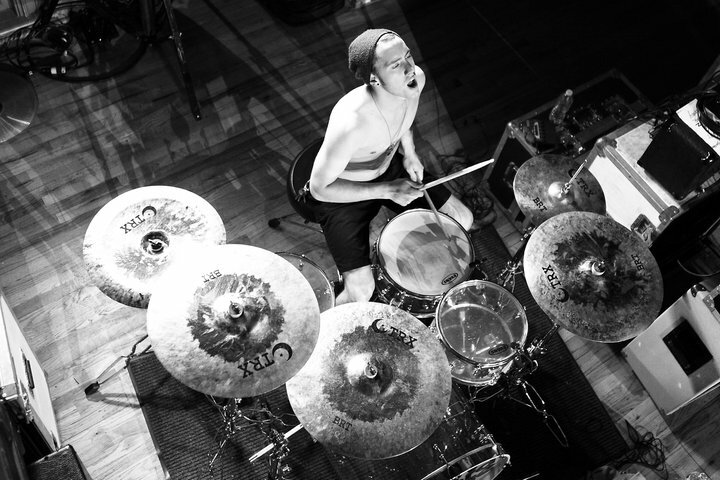 8. Who is your favorite drummer? All over the United States I have been asked this question, and it is normally an opening to a condescending comment, such as “Are you as good Neil Peart?” (Canadian lyricist and drummer for the rock band, RUSH) There are so many talented musicians in this world. It would be impossible for me to narrow it down to one. I don’t understand how anyone can necessarily have a single favorite. That is narrow-minded. We are a diverse world. It’s about the feel and soul of a person, not the fame. Thank you for your continued love and support. Even the smallest life experiences that have come before me through music wouldn’t have been possible without you. Even though I sometimes take my experiences for granted, I do my best to stay humble and understand how blessed and lucky I truly am. Another great Rayne Cullen interview, propped up by the awesomely talented Travis King. Some say it’s the bass, but it’s really all about the sticks! Travis and I thank you! Great Interview Rayne and Travis King! Wish you much success! Kudos! Thanks, Syl! Travis and I very much appreciate it! That’s awesome that he offers lessons over skype! Great interview, Rayne! I’ll be playing the role of Gina today. LOL. You’re too funny! Thank you for posting this interview. He has some wonderful insights and great words of wisdom for people of any creative industry! It is so cool when things come full circle, I hate doing this from my phone but I am out lol. Great interview Rayne best of luck to you Travis. Best of luck to you Travis! Hello Rayne! I really enjoyed this interview, congrats to both of you. Wishing you much success Travis! I think it’s very cool that you offer lessons on Skype, great idea! Hey Travis, Drum lessons over Skype is a brilliant idea! Good Luck to you! Great interview Rayne and Travis. Travis, I love that you teach via Skype, I haven’t heard of anyone doing that before, but it makes so much sense. You are bringing your talent and skills right into the homes of the students anywhere in the world, and I know they must really appreciate it. All best success to you, Travis! Thanks for doing the interview, Rayne! Great interview! I find it amazing what you can do over Skype these days. That you are able to use it to teach music is fantastic! I was in chorus in school, and have always loved music. I think it’s great you can give back what you’ve learned to so many. Good luck in all of your future endeavors! U have a very nice weblog over here. I just wanna thank you for all the interesting info on it. I’ll follow your blog if you keep up the good work! Thank you, I have just been searching for information approximately this subject for a long time and yours is the best I’ve found out so far. But, what about the conclusion? Are you sure concerning the supply?|What i don’t understood is in truth how you are now not actually a lot more neatly-preferred than you may be now. You’re very intelligent.